Buona notte - Jesus Vine Tree - motivated by the Biblical Icon? Jesus Vine Tree - motivated by the Biblical Icon? How are we motivated by ‘Jesus Vine Tree’ Icon? 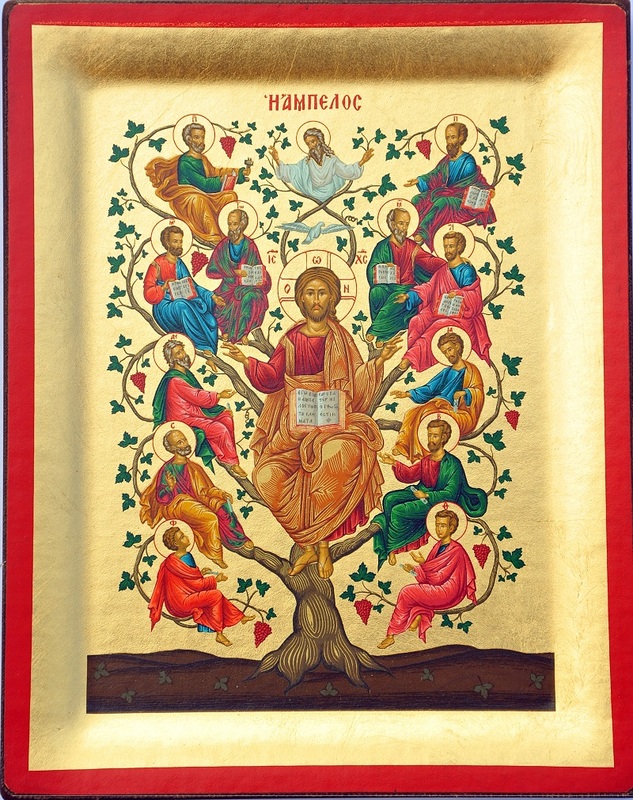 During past three years (General Chapter 27 - April 2014) the Biblical Icon of Jesus – Vine Tree (John, 15,1-11) is in our hands, in our communities and also on our small EAO prayer card. This ancient image was entrusted to all Salesians to be motivated on our daily conversion journey. We contemplate the open Bible at the center (Salesians as mystics), the inter-twinned branches of the tree (Salesians as brothers) and the multiple fruits of communion visible in the grapes (Salesians as servants of the young). Some SDB communities keep the Icon in their chapel, refectory, entrance hall or in other visible place. For me this icon is a daily strong invitation for my credible witnessing and I keep it in my cell phone. Each EAO extraordinary visitations in all communities and provinces is a good chance to discover its beauty, deep meaning and motivation! During this June, month of the Sacred Heart of Jesus, I would like to challenge all of us to keep this Biblical Icon close at hand. Indeed the Eastern Churches Icon theology is telling us that while we are contemplating Jesus, also Jesus Christ of the icon is contemplating our life! Let’s allow him fix His eyes on our life and mission! During last month of May we celebrated the 9th EAO Regional Congress of Salesian Cooperators in Tokyo with 320 participants. In these days I’m finishing the consultation for the next superior of Australia – Pacific province (AUL). Your prayers for the fruits of both important events are highly appreciated! Wish you a fruitful and joyful Pentecost 2017!